Great Christmas Pudding Runway Dash 2018 Tuesday 4th December 2018. Registration for Great Christmas Pudding Runway Dash 2018 has now closed. Even if you're not taking part in Great Christmas Pudding Runway Dash 2018 you can still do your bit for charity by making a donation. A 3.4km Fun Run - see the runway from a unique perspective! Join the Ports of Jersey Christmas Pudding on it's Christmas dash! Maybe you'll catch a lucky sixpence? 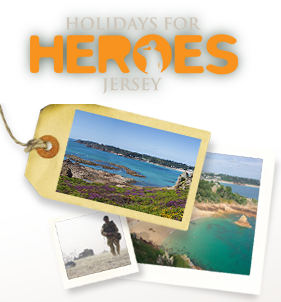 This is a final Ports of Jersey event fundraising for their charity partners, Holidays for Heroes, Jersey Cancer Relief, Jersey Children’s Charity and Philip’s Footprints. Registration fee will be split equally between the 4 charities, but donations and sponsorship are welcomed and you can pick any one of the 4 charities to support. Registration 20:00-20:50 at the Aero Club and we anticipate starting as soon as possible after 21:00. Full details will follow in due course. Entrance fee includes entry into a raffle to win a tour of the Jersey Airport Rescue and Fire Service and we do hope you will join us afterwards for a free mulled wine/hot chocolate/soft drink and of course mince pies and last but not least a Ports of Jersey medal! Raffle tickets for the Ports of Jersey Booze Barrow Raffle priced £5 each will be on sale on the day, to be drawn on 14 December. 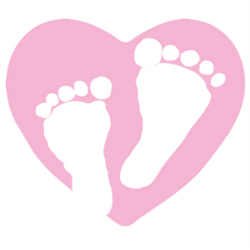 Philip's Footprints are organising the online registration for this event so information emails will come from Jo Nash, Philip's Footprints email address is support@philipsfootprints.org and likewise any queries should be directed to her. PLEASE NOTE: in the event of an airport extension or ambulance flight, we reserve the right to delay entry to the runway slightly and participants will need to wait in the Aero Club. In the event of a poor weather forecast, a decision will be taken the day before. Please also note children under 16 must be accompanied on the runway by an adult and be able to run the distance in a maximum of 40 minutes. All children must remain with their adult at all times. Due to space restrictions unfortunately we cannot allow spectators in the Aero Club. 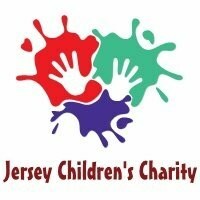 With very grateful thanks to Ports of Jersey for organising this fundraiser for their charities, and to Ports of Jersey staff and Airport Fire Service who are giving up their time to help organise and make this happen and the Aero Club for hosting the event. A condition of entry is the consent of the ticket holder, on behalf of themselves and any minors accompanying them, to be filmed or photographed for reporting in the media or inclusion in the Ports of Jersey and charity partners publications, social media, website and recordings.